Many Fort Worth generations since 1987 have fallen in love with our Bridal Stylist Spotlight as much as we have! In case you have not met, allow me to introduce you to Essie, a beautiful soul who’s work goes far beyond the dress. When you book your appointment with Ava’s Bridal Couture, ask for Essie. She is just as unique as her name! Essie’s love for her brides can be described in one word: Unconditional. It doesn’t matter what your style, beliefs or visions are for your big day- Essie connects with people from all walks of life. She’s dressed brides for over 31 years on Camp Bowie – she lovingly remembers each one of the stand out memories she holds dear year after year. You will find her warmth and personality to be inviting and relate-able to you and your guests! Reason #2: Essie Will Style You Savvy! Essie doesn’t stop the conversation at the dress- She Thinks Big Picture. Wanting to know about your venue, your family traditions, new traditions, the type of reception you want to create (starting with the vibe of the dress of course being one of the cornerstones in the planning!). she will ask you questions and show you ideas you may never have seen before. Reason #3: Amazing Life Experience! Essie has lived! It’s one of the most interesting qualities we love about spending time with Essie. Hearing her stories of raising cattle in California to adventures with her one and only love, Calvin who kept her on her toes. She has seen generations of weddings, trends and ideas come and go! It’s awesome to pick her brain and get her to walk you through the entire look. She will not steer you wrong with her honesty and bridal savvy. She knows weddings from start to finish from working with all steps of the process. The wealth of experience in all aspects of life will leave you feeling confident in your next chapter in marriage. Reason #4: Essie is an Inspiration! There is no doubt Essie will inspire you with much more than the wedding day, marriage talks and dress details. Essie’s love for people, the industry, her story, how she draws out the best in people… it will leave you feeling ready to conquer the world by being your very own version of “Essie” too. Reason #5: Experience Unlike Any Other! Mrs. Ocone taught Essie so much about fabrics, designing veils and traveling the world to bridal markets all over the globe to learn how to be on the cutting edge. 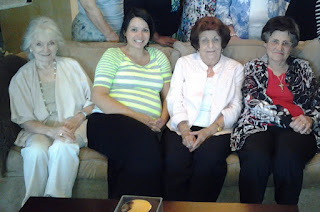 Essie is truly one of a kind – you don’t meet many individuals named Essie. She will captivate your heart and bring joy to your wedding planning. On a personal note, Essie has been an incredible mentor to me in the business. She shares her knowledge with me which helps me to run the business with savvy and with people in mind as we grow. 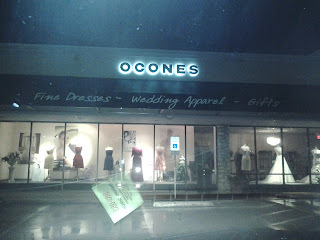 I was pregnant with my first born when I met Essie for the first time at Ocones Bridal. She has given me life inspiration, marriage goals and motherhood vibes like only an amazing woman can! Everyone needs an Essie in their day to help them know their worth. 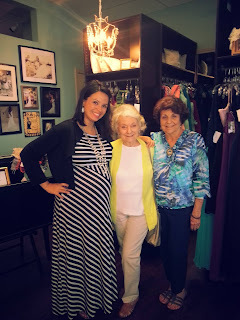 Take a moment to meet Essie when you see her in store – give her a hug and tell her what a gift she is to brides. 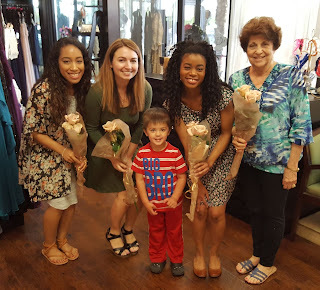 This entry was posted in General and tagged Ava's Bridal Couture, Bridal Consultant, Bridal Specialist, Bridal Stylist Spotlight, DFW Bridal Boutique, DFW Bridal Shop, DFW Brides. Bookmark the permalink.